Discussion in 'User Interfaces' started by Wizie, Mar 6, 2017. Blocks and reports spam, both in chat, but more importantly it also removes the boosting services from the LFG tool. Separates the Release Spirit / Recap frame from the Accept / Decline battle ress one. Also makes it so that you can't accidentally close it with ESC. Can't tell you how many times I've gone to click recap to see what killed me, only to get battle ressed and instantly decline. This is a lovely fix to that. Will tell you what you have and have not unlocked transmog for by adding extra things to the tooltips when hovering over items. Will also show an overlay over items in your bags, vendors, professions and dungeon journal to show you if you have or have not learned that appearance yet. Adds filters and a dropdown menu to the LFG tool, making it much easier to find the groups you want. It will also show group composition (classes and roles) if you hover over them. You can filter out boost groups in M+ for example, or search for specific keystones / levels with ease. Simply puts a dotted line on the world map showing exactly where your character is pointed at. Very handy for flying from one place to another that's far away. Gives you a window you can open to see all of the transmog you're missing from all of the dungeons / raids. Displays how much of an upgrade a relic is in the tooltips, and adds a note on the tooltip when hovering over bosses that can drop relics you can use. Gives you a window to view all of the all of the various sets for your class, which pieces you've collected, and where to get the ones you need. Great for checking what you need to unlock the class hall armor stand stuff. Think that's most of them for now. A lfg for wq that is GREAT for low ilv/just dinged alts where it takes ages to kill stuff (or on your main, if you're lazy). When you zone into a wq area, it asks if you want ot queue up (can ofc change settings). If no group is present, it auto makes one for you and accepts invites from any others with that addono up to 5. Also adds a small button next to your wq, where you can manually search/leave/join groups. It alerts you whenever you stand in something bad. Very simple, it doesn't even need extra adjustments or configuration and a highly underrated addon in my opinion. Most people would say that they are always aware if this is the case, but sometimes the borders between standing in or out of fire are not always clear. A good example is this. Of course it's a tool for something extra, doesn't mean you have to entirely rely on it and lose all other awareness of the surroundings. A lot of little micromanaging options go with this addon. - Selling grey items automatically when you open a vendor window. - Repair Automatically when you open a repair vendor window. - Option to accept quests automatically- very useful while leveling! The most important for this pet battle addon is that you can save a team for whatever trainer and load on demand extremely easy just by targeting (both save of load). So you just find out once what pets to use for a trainer and then every other time just load this exact combo team. Also you can save some of your favorite combo teams and have a leveling pet queue. And many micro pet battle utilities that are nice. It makes a minimap button for all your minimap buttons! If you got a lot of addons this can be handy to less crowded minimap! Makes your inventory to show as one bag. And has many choices as well to sort out your bags better. It can do the same for the gbank, bank or void storage. Also a very nice utility if you have alts you can view their bags/bank while on another char which is extremely useful. Customizes your action bars any way you want it! This addon needs a bit more work to configure how you want it, but it's worth it! My personal likes is that I can hide the bags bars (I always pressed B to open anyway! ), I can have the micro menu faded and small so it won't bother me, and some action bars to be hidden while in combat. Or some action bars just faded and show on mouseover. I would mention Vuhdo as well, but a raid frames addon is something that comes to personal taste and people who need those have them already! Leatrix Plus sounds awesome, Menya, didn't know it yet. Ta! And Conslegion is almost a must for leveling alts. It even got me to level my druid and have started my hunter. ME, OF ALL PEOPLE. I've recently installed elvui and it is a lot better than I remember in the olden days. Also saves memory cause it has implementations similar to some popular adding. Ex. Bag non like bag, nice minimap, coords, customizable chat, action bars, nameplates, unit frames etc. Add-ons I stopped using cause elvui has implemented are bagnon, tidy plates, grid, dominos, sexymap and couple more. Have you experienced longer load times or fps drop right at login? - Just to see if its just me or the addon itself. i've digget around, few sources suggested getting client tukui and to install elvui from there, my potato is faster after i removed all other addons that have elvui counterparts. Also you should check the settings cause some things might be choking system like auras, buffs/debuffs, tooltips etc. or even nameplates and unit frames if you played around with config. It's improved my loading times by a bit. This fixes the problem where if you have a lot of addons installed, when you inspect someone it will sometimes just stop working and you can't see any tooltips. Again their explanation for it is in their description if you want to know more. Really simple addon to help you log stuff. 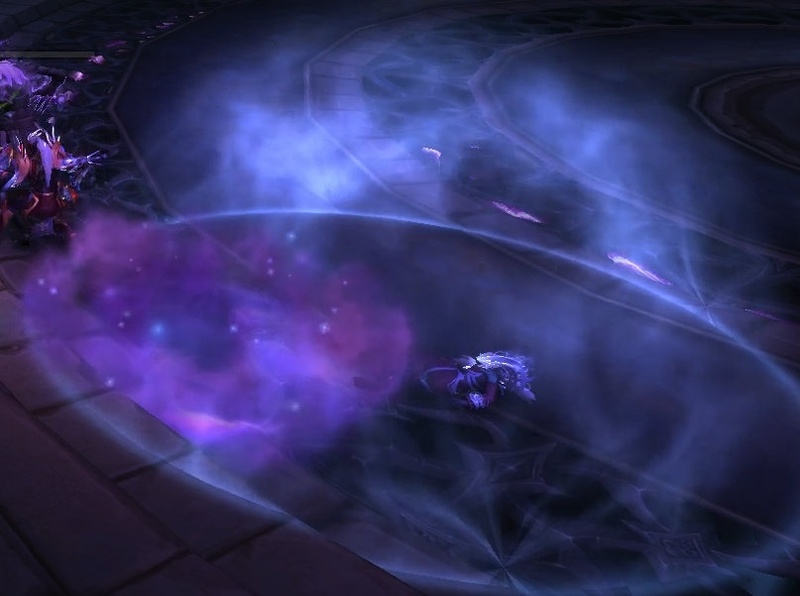 All it does is whenever you enter a new dungeon or raid, it'll ask you if it should start logging. By default it's setup so that it'll only ask you the first time you enter a new raid/dungeon, and then remember every other time in the future. Makes it super easy to have it just automatically log your raids / Mythic+ runs for example. This will add a little arrow to the bonus roll window that you can click for a popup window of what items can drop from the boss you just fought. Makes it really easy to quickly see if there's anything you need, instead of having to open the dungeon journal. Wytes and Antishadow like this. It's pretty simple, all it does is add a waypoint / marker on the map over all of the bonfires you haven't taken yet. But it's a much better solution than doing macros with /way etc etc, since this will (afaik) remove any that you've already taken, even if you gathered them before picking it up.